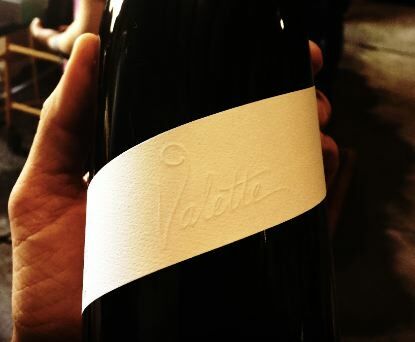 Valette Restaurant Introduces 2016 Pinot Noir The first Valette private label wine, the Valette 2016 Sonoma Mountain Pinot Noir is a collaboration between Chef Dustin Valette and Sonoma County winemaker Bob Cabral, formerly of Williams Selyem and now Three Sticks Wines. Dustin made wine at home for many years and Bob has attended courses at the CIA in St. Helen, so the two wanted to craft a wine together that reflects the unique qualities of Pinot Noir from Sonoma County when paired with local Sonoma County-grown goods. The wine is now available in the restaurant in Healdsburg. Fourth Silicon Valley Wine Auction The Santa Cruz Mountains Winegrowers Association Education Foundation (SCMWEF) presents the fourth annual Silicon Valley Wine Auction Weekend held in Saratoga, CA, May 19-20, 2018. Proceeds benefit several educational programs. On Saturday May 19, the Wine Auction Dinner, an evening of wine and giving, will be held at Eden Estates, the private home of John Couch, the Vice President of Education at Apple. On Sunday May 20, 45 Santa Cruz Mountains Winegrowers will pour at the Taste of the Mountains Grand Tasting at Montalvo Arts Center. Notable auction items include a private Space X Rocket Factory Tour, a VIP destination trip to the Mexican Riviera, and Winemaker Dinners with Big Basin Vineyards, Mount Eden Vineyards and Ridge Vineyards. Tickets for the Wine Auction Dinner are $10,000 per table, and $95-$145 per person for the Taste of the Mountains Grand Wine Tasting, with early bird reduced pricing for the Tasting until April 1. For more information and to purchase tickets, visit www.siliconvalleywineauction.org. Outstanding In The Field All of the 2018 Summer/Fall events, including farmer and chef participants are now on the website at www.outstandinginthefield.com. The California Spring/Summer tour includes a West Sonoma Winemakers dinner Saturday, May 12, 2018 ($245), featuring Red Car, Failla, and Littorai wineries and chef Shane McAnella of Chalkboard and The Brass Rabbit in Healdsburg. The setting is a forested ridge in Occidental. Dinners are also planned for Adelaida Vineyards & Winery in Paso Robles, Albatross Ridge in Carmel Valley, Flowers Vineyard & Winery at Timber Cove (Sonoma County) and McEvoy Ranch in Petaluma. Tickets go on sale March 20 at 9:00 A.M. and sell out fast. Alaska Airlines Adds 18 Cities to Wine Flies Free Program The airline’s mileage-plan perk began in 2007 at Santa Rosa’s Sonoma County Airport and now includes airports such as San Diego, Seattle, San Francisco, San Jose and Oakland. The baggage-check fee for a case of wine is waived at airports in 29 West Coast cities. The offer is good for one case on domestic flights only and must be checked in at the airport check-in counter. You must enroll in the airline’s mileage plan. More details at www.alaskaair.com.